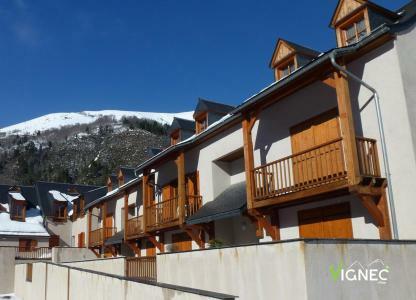 The 3 star Residence Vignec Village in Saint Lary Soulan is ideal for stays with either family or friends. 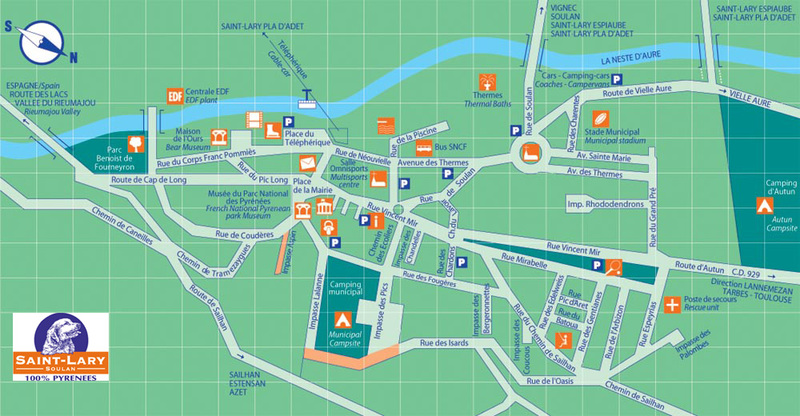 It is ideally located in the centre of Vignec a traditional Pyrenean village. 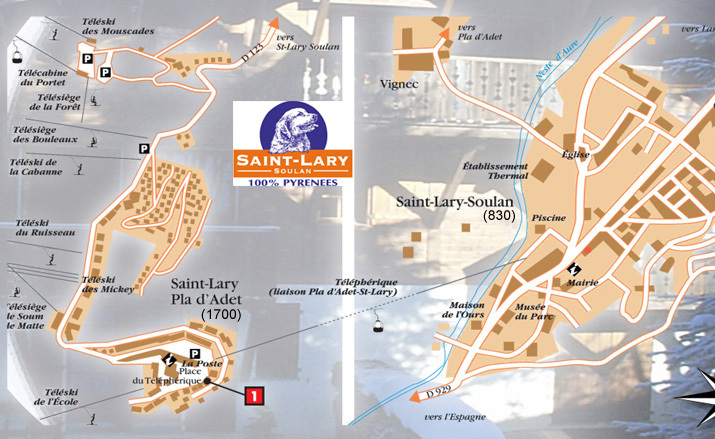 The shops, resort spa and the main resort of Saint Lary are a short walk away (around 800 m). 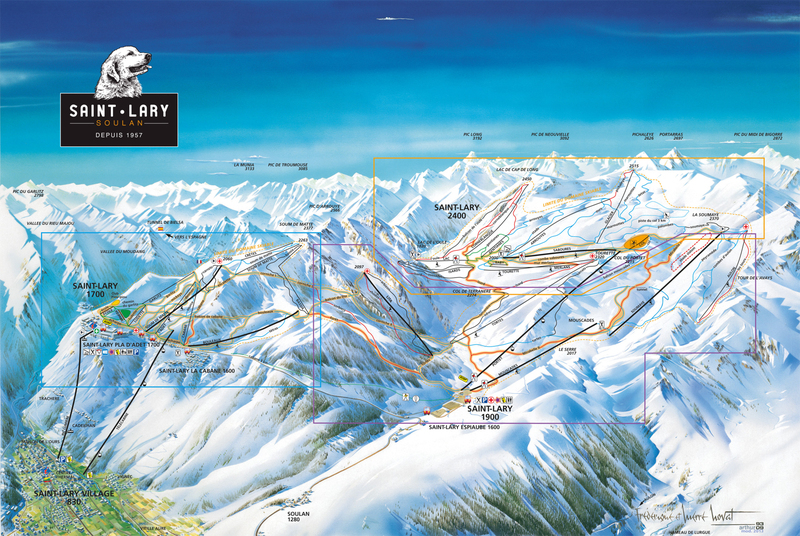 The gondola lift to the Saint Lary Vignec ski area is 600 m from the residence. Les Trois Vallées is a tourist residence with sauna and indoor swimming-pool, it is situated in the pretty and typical Pyrenean village of Arreau, 200m from the shops, 10km from Saint-Lary Soulan, Pyrenees, France and the cable cars. 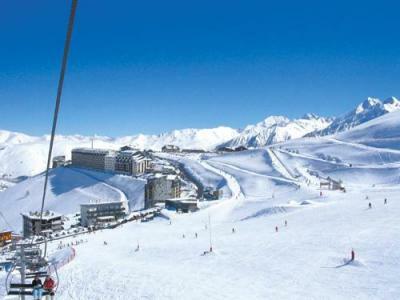 Additionally, the residence offers skiing in the two resorts of Peyragudes and Val Louron, 20km away. Each apartment in Saint Lary Soulan, Pyrenees, France is fully equipped and is designed to accommodate between 2 and 9 people. It is south facing and offers a view over the valley. Several amenities are available within the residence. Made of materials typical of the Aure valley (wood, stone and slate) and in traditional Pyrenean style, the luxury residence is perfectly situated in the centre of the village only 300m from the thermal baths,700m from the cable car. 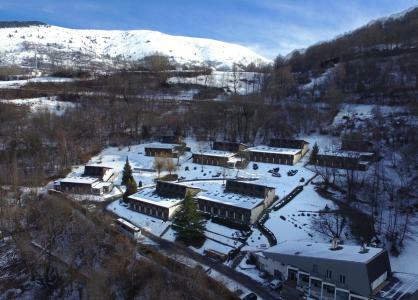 The residence Cami Real, Saint Lary Soulan, Pyrenees, France comprises of 102 apartments on 3 floors and facilities include an indoor swimming pool (10.5m x 6.5 m), sauna. Each apartment offers a well-equipped kitchen area with ceramic hotplates, fridge, dishwasher and four microwave-oven. Also available: a terrace or balcony (except for 2/4 people apartment) and a TV (fee applies). 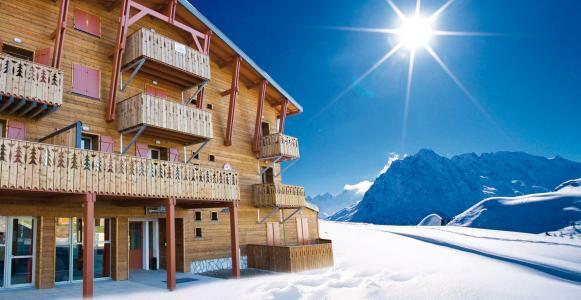 This newly-built residence comprises of 44 apartments spread over 2 spacious chalets (with lift). 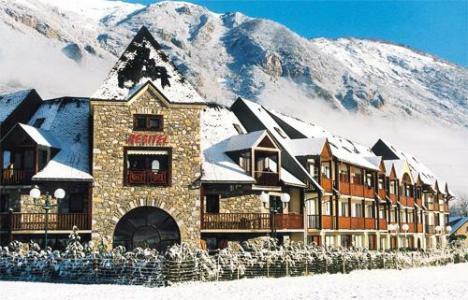 It is situated 50m from the ski lifts and 100m from the shops. Made of wood and stone in the typical style of the region, the residence in Saint Lary Soulan, Pyrenees, France offers a fantastic view over the valley. Situated in Saint Lary Village (830m), Saint Lary Soulan, Pyrenees, France, 400m from the cable car and the old part of town. The residence "Soleil d'Aure" comprises of 66 apartments on 3 levels (lift available). It is enclosed for privacy, has a free outdoor and pay and display indoor car park. 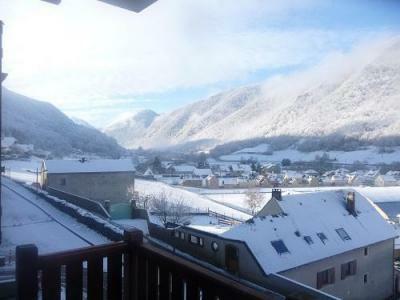 Les Rives de l'Aure, Saint Lary Soulan, Pyrenees, France is a comfortable residence offering cosy and warm apartments. 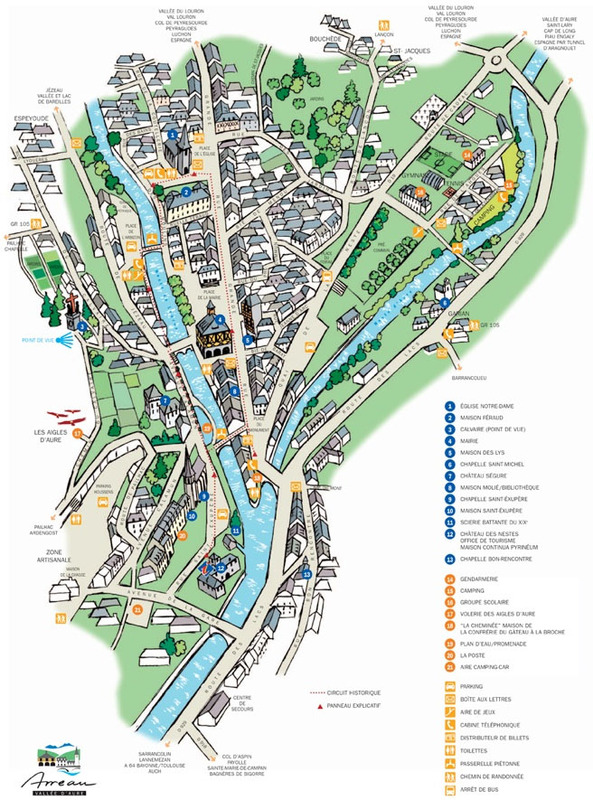 It is situated in a privileged location: at the heart of the village, 50m from the thermal baths and 100m from the ski lift connecting to the skiing area. 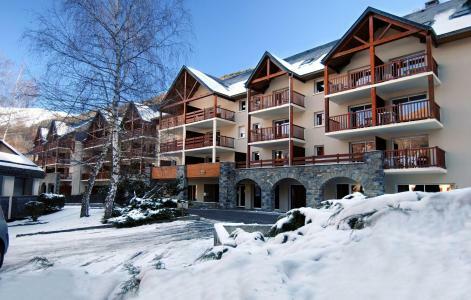 The residences in Saint Lary Soulan Pla d'Adet, Pyrenees, France are spread throughout the resort and are situated 900m (max) from the shops, the ski school (ESF) at the foot of the pistes and the ski lifts. The Residence Les Balcons de la Neste is in the village of Arreau, around 10km from the ski resort of Saint Lary Soulan and 20 km from Peyragudes resort. The apartments are spacious and well equipped and there is a wonderful view of the valley from the residence. The residence has an indoor heated pool, a sauna and gym. 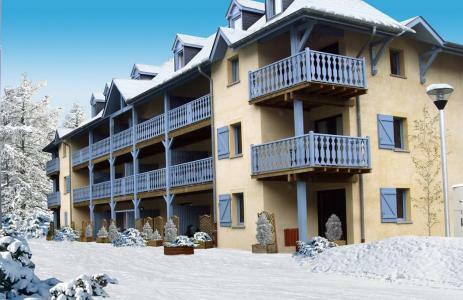 Apartments at Saint Lary Soulan, Pyrenees, France are situated 800 m away from the centre of Saint Lary village, nearby are shops and the Pic Lumiere cable car which can be reached via a free shuttle. Also 500m away is a Spa fitness centre. 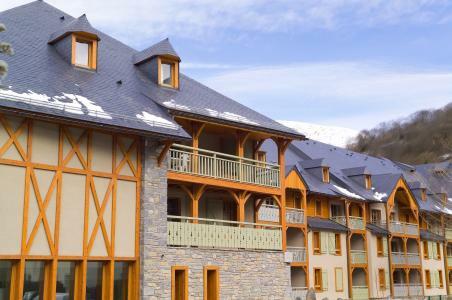 The residences at Saint Lary Soulan, Pyrenees, France comprise of small buildings on 2 or 3 floors as well as terraced chalets (lift not available).